I'm 50/50 at this point, I can't get a definitive verdict until we see how our prospects develop. This is where I am at. So far, so good, I guess. We can judge the improvement of the farm system. It appears to have improved from where it was, and that is one of the points of emphasis for the current mission. We can (and have) debate(d) about the returns on trades. But Avila is in charge of not only identifying and acquiring the talent. But he also is in charge (if albeit indirectly) of the development of it as well. That's going to take a bit of time. He was a SS, but Carolina shifted the 3B up the middle and shifted the SS along the 3B foul line. You have a knack for making the complicated so simple and easy to understand. Baseball Ref says he was drafted as a SS and played there until High A Jupiter, where he switched to 3B at 19 y.o. Well, long time, no post. On the subject of AA he has had a heck of a mess to clean up. IIRC, the Tigers are still paying 6.5 million for Prince Fielder's contract, for example. On the other hand, I am somewhat bewildered about the Alex Wilson move as he appears to be cost effective during the rebuild. This rebuild has about another 4 seasons to run. Given my age, I hope to live to see another Championship. Who are you going to believe? Me just trying to entertain me or a highly respected and researched website? I picked 50/50 but am more on the 70% positive side. Through drafting and trading the farm system is now at or near the top 10. My reservation comes as a work in progress to see how the prospects pan out, and the fact that there isn't a bonifide superstar in the making (possibly except for Mize but we'll have to see) There are also a few holes in the system most notably SS, a hitting C, and 1B. Who the heck is Dustin Peterson? I don't know all of the rules, but the Braves ended up using one of their prospects this year due to injury or something, and he was out of options to send back down. When they tried to get him through waivers before demoting him back, Avilia made a claim on him and got him. He is now the Tigers #11 prospect, 24 years old, OF, hit .268 and 11 HR last year but had a better 2016 and due to injury wasn't taken in the 2016 Rule V. Probably will never be much more than a 4th outfielder if he makes it to The Show, but it adds good organizational dept for either Toledo or Erie and allow some of the younger guys to not have to be moved up as quickly unless of course, they earn it. 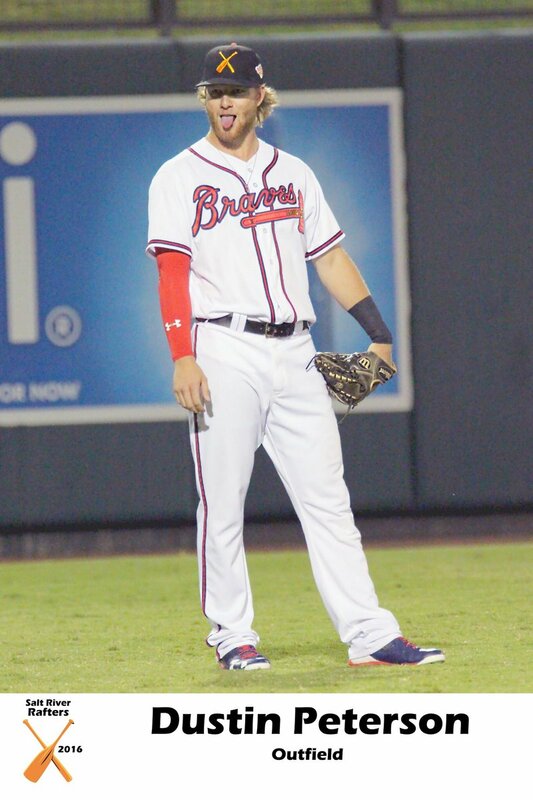 When Peterson was with the Carolina Mudcats he was highly touted as one of the better prospects in the Braves organization. I didn’t realize he was a Tiger now. That Avila.. what a sneak...! minor league corner outfielder with a lifetime OPS of .691.
here come lee debbie downer panas to spoil everyone's good time with a bunch of "facts" about "stuff." honestly, if you've drafted in the top 10 two of the last three years, including #1 last season, plus just stripped of the team of all its sellable assets for two straight years (including one of the best hitters and starting pitchers in the league) and your farm system isnt close to or in the top 10, youre probably doing it wrong. in other words, avila has the tigers about where they should be, i guess. not anything special. and they still dont have a bona fide star talent to show for it yet. i think he's done an average job. I am 50/50 on Avila. I don't have a great deal of confidence in him, but I am not really down on him either. I am between 0 and 100% on Avila, based largely on what I have recently imbibed or inhaled. That's the thing, he didn't have alot of tradeable assets. We all look back on Verlander fondly and rightfully so but he wasn't an easy guy to trade. Teams don't usually give up much for pitchers in their mid 30s with as much miles as he has on his arm. He is a total outlier, especially in the steroid free age. The fact that Avila was able to get two guys that rank in the top 50 in atleast one list plus another borderline top 100 guys should be applauded. Then after JV we had a corner OF that was a rental who wasn't going to get much then guys that were either past their prime or didn't have desirable contracts. He really didn't have much in the way of valuable trade assets. We weren't the White Sox where all our good players were still in their primes and under team friendly deals, the fact that he was able to shed salary and pry 5 or 6 top 100ish prospects plus Candalario out of what he had was quite a coup imo. he got less for verlander than the cubs gave up for quintana but at least he got something for the best pitcher of his generation. he got nothing for jd martinez. he fleeced the cubs in the avila/wilson deal. all this has been hashed and rehashed. no, they didnt have the perfect storm of great contracts and overall futility that the white sox had, but lets not downplay what an asset verlander was even with his salary. he got a decent return for verlander. he gets a b on that. an f for martinez and an a for wilson/avila. upton is a wash. thats usually the kind of prospect you get for that type of player nowadays. but even given that, this is where they should be prospect/projection wise. a borderline top 10 system. lets see how this crop develops and if we get a star or two rather than a group of depth players. Your shift key broke dude?